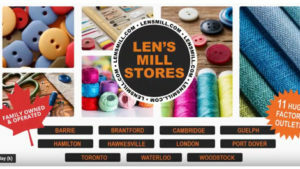 Hill’s has been quite busy helping to come up with creative and implement a new campaign for Len’s Mill Stores. “Need it for the beginning of January”, our client tells us at our early December meeting. Not a problem, with everything closing down as of the 21st, we had to get cracking. “Oh, it needs to be bright and bouncy”… Okay… so we need to shoot this in the daylight so it didn’t look like a murder mystery. And with less than 7 hours of shooting daylight. We had to nail it with minimal disruption. And that’s what the team at Hill’s did! Ger worked out the scripting and creative with the client, then went with Peter (DOP), Greta (make-up and hair) and Rob to shoot: two locations – mid town Toronto and Burlington. Finished by our talented editor Andrew Walker (editing, colour correction, and captioning). The result: 5x 15 second spots plus a Social Media Influencer segment. Creating enough content to run the year. 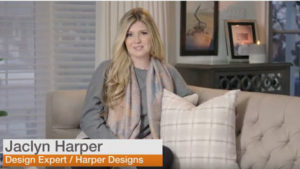 Jaclyn Harper, Broadcaster and Design Expert was our Influencer/Presenter. Now that’s value. You should demand that. It justifies your budget and the work we do. More agile than a large agency, Hill’s Video Production is an troop of skilled craftspeople. Able to turnaround on short notice. Would you like some help? We’re ready to roll!